Whether you plan to run, skip, walk or dance your way through the 5k, you can put that hard work to good use by supporting collaborative cancer research. 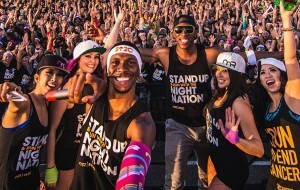 You can help SU2C get one step closer to its mission of making everyone diagnosed with cancer a survivor. Click here to learn more. 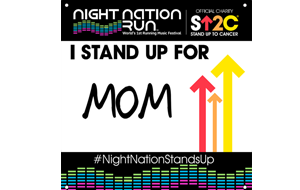 When you register for the race, donate $1 to SU2C and receive an “I STAND UP FOR” customizable race bib to honor a loved one during your race. 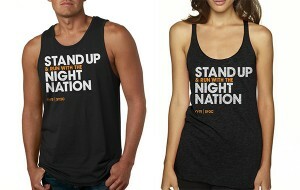 When you register or before you run the race purchase the official SU2C Night Nation t-shirt and we will donate $5 from the sale of each t-shirt to SU2C.